You can store multiple buying searches against an applicant. Each search can be named to make it easy to recognise in the list. click the button “Click here to add a new buying search”. 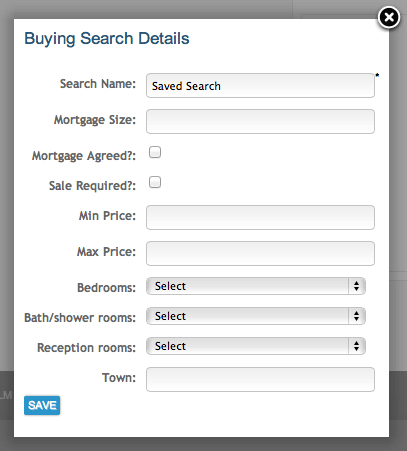 Search the property database and display the results in the UI (user interface or admin panel). This will include properties that aren’t necessarily online. Search the property database in the website. This will display the results in your website and will only include properties that are online.